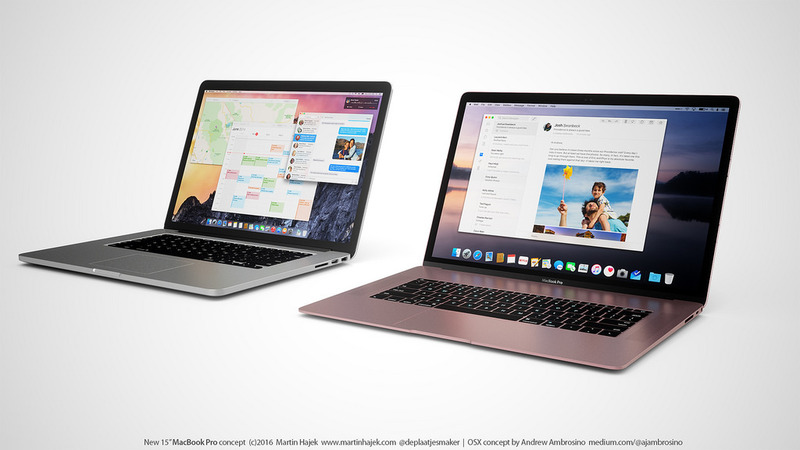 There are rumors floating around about a new MacBook Pro 2016 Edition being released in June and designer Martin Hajek decided to put a face to those rumors. 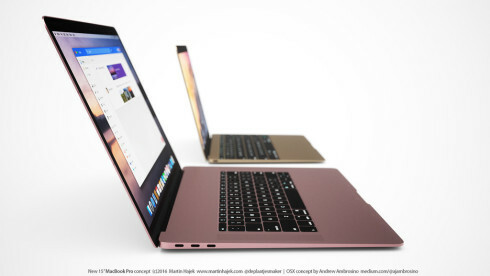 Thus, he rendered the MacBook Pro shown below, in a much thinner version than before and rose gold color. 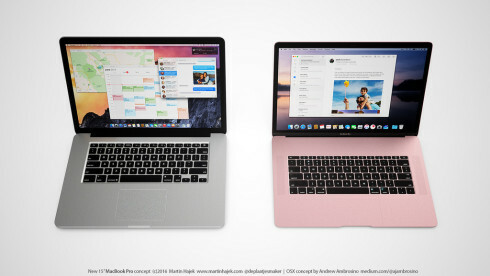 He included comparisons with the current Retina MacBook Pro 15 inch and the 12 inch MacBook. 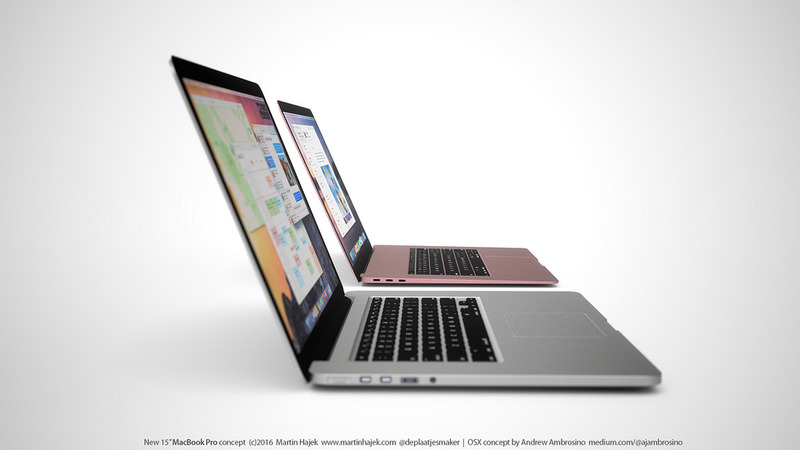 MacBook Pro 2016 is said to debut at WWDC this year, taking place between June 13 and the 17th. The device is expected to come in a 13 inch version and a 15 inch, both with Intel Skylake processors inside. Rumors also talk about OLED displays, 9 hours of battery backup and a touchpad with Force Touch. Siri for Mac and USB Type C connectivity are also on the list. Rumored pricing is around $1500 for the 13 inch unit and around $2800 for the 15 inch one. And then there’s talk of a new 12 inch MacBook Air, that may come this summer too. 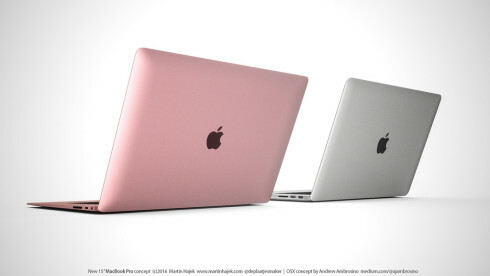 Of course all these models will have Retina screens. 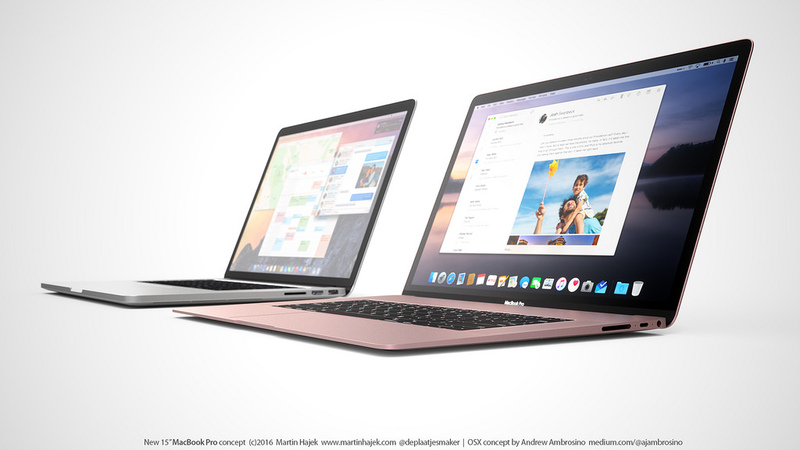 Now as far as the designs shown here go, I feel the keyboard could have been more generous and maybe placed higher on the device.